Sarah has been in the dental field for over 20 years working as an assistant as well as front office treatment coordinator and office manager. ”I love seeing the difference we make in patients’ lives by improving their oral health and transforming their smile.” She enjoys spending time with her very energetic husband and their two teenage children. Sarah’s hobbies include hiking, water skiing, and snow skiing. She also enjoys studying alternative medicine and nutrition. Jayme has been with us since May 2010. 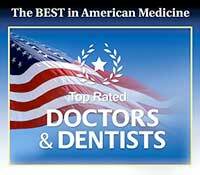 Jayme has been in the dental field for over 10 years. She can help you find a way to financially get your work done. “Interacting with patients and helping them to understand their insurance benefits is my favorite part of working in the dental field.” Jayme shares her life with her husband and their daughter. Jayme loves to entertain family and friends. She also enjoys cooking, singing, and being in the outdoors!